Bushmans liquid fertilizer tanks are manufactured to the highest standard to ensure a long lasting, safe storage tank for your liquid fertilizer. Our liquid fertilizer tanks are robust, strong tanks that come complete with fill pipe, level gauge, outlet and is ready to use. Liquid fertilisers are highly effective and can be applied in crop when you know a crop needs the additional fertiliser. 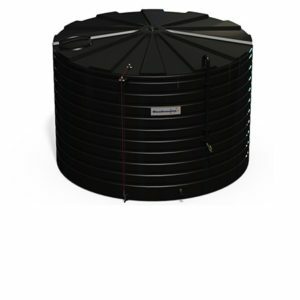 There are several advantages that come with using our tanks for fertiliser storage; our liquid fertilizer storage tanks are easy to store and use, do not corrode with highly corrosive products such as urea-based products, and can be located near the crop that needs to be fertilized which reduces the time required to fill the spray tank. 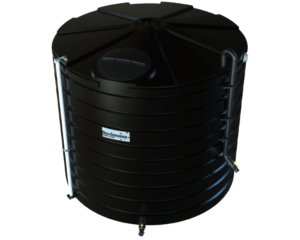 Our fertilizer tank also allows for the fertilizer to be formulated specifically for the needs of the crop, for example, soil or foliar test determines what elements are needed and the fertilizer is blended specifically for the crops needs. Some of the applications for liquid fertiliser tanks include broad acre crop product, intensive horticulture, irrigated crops such as cotton and sorghum, as well as fertigation (adding fertilizer to the irrigation water). As such, those who will benefit most from use of a fertilizer tank will be farmers and horticulturalist who want to maximise the productive output of their crop, pasture or orchard as liquid fertiliser can be used on both irrigated and dryland crops. Adding a Bushmans liquid fertiliser tank would provide a lasting benefit to your agricultural operation. Bushmans fertiliser tanks are designed for safe storage and dispensing of fertilisers and our robust tank, along with strong and functional fittings, ensures the fertiliser is safe with no spillage, which can be expensive both from a loss of product as well as the environmental impact. 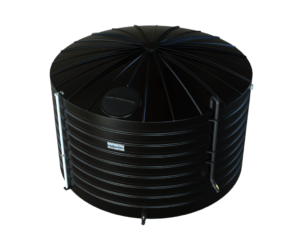 All tanks are designed and manufactured to the specific gravity requirements of liquid fertiliser storage, to S.G.1.5, to ensure they stand up to demands placed on them by Industry and the Australian climate. The Fertiliser fit-out tanks come with all the necessary inlet and outlet fittings including a ground level filling location, simple emptying plus a level gauge. Bushmans fertilisers tanks come ready to use for liquid fertiliser storage will all fittings built in. 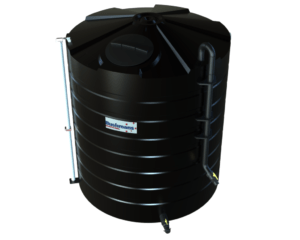 Our tanks come in a wide range of capacities ranging from 10,000 litres through to 30,000 litres and the option of a blank tank or a fully fitted liquid fertilizer tank. 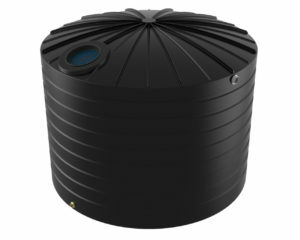 We are confident that we have a tank that will meet your storage requirements. It is important that the tank used is strong and able to carry the weight of the liquid fertilizer. There is a large investment in the fertiliser, and in the instance of a tank failure there would be cost added when replacing the fertilizer. Additionally, if the tank is in an environmentally sensitive location then there is a risk of environmental contamination which may have severe penalties. Bushmans liquid fertilizer tank comes with a comprehensive 5-year industrial guarantee. The types of fertilisers commonly stored include nitrogen and phosphorous based products, along with trace elements. Also, our tanks are frequently used with fertigation. Browse through the options below, if you have any questions, please call our experts on 1800 287 462. Download our fertiliser tank brochure here.